The advance care planning (ACP) Facilitator is an emerging role in healthcare. 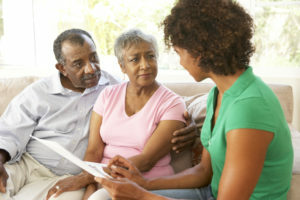 ACP Facilitators are instrumental in helping individuals, their families, and their loved ones become more engaged in person-centered decision making. If ACP conversations were easy, they would be more commonplace than they are today. The role of the ACP Facilitator is a critical component to achieving the ACP desired outcome—to know and honor an individual’s informed healthcare decisions. Because ACP is not a one-size-fits-all conversation, ACP Facilitators must be trained to have conversations with individuals at different stages of health and in different settings of care. ACP Facilitators add value to an organization and community and are central to any program’s success. Professional competence and confidence in providing skilled facilitation and delivering care that is consistent with an individual’s goals, values, and beliefs. The First Steps® (FS) ACP Facilitator Certification course is designed to help participants learn the skills needed to facilitate foundational ACP discussions with any adult. FS ACP Facilitator Certification is intended for healthcare providers (nurses, all levels of social workers, health educators, and physicians), clergy, and others involved in providing ACP facilitation. The purpose of this program is to assist participants in learning effective communication and interview skills for person-centered ACP facilitation. Identify communication skills for Facilitating First Steps ACP conversations. Create strategies to transfer individual goals, values, and preferences to the written plan. Demonstrate beginning competency in facilitating First Steps ACP conversations through role-play activities. Become certified as a First Steps ACP Facilitator through final competency role-play demonstration. Currently, RC has no ongoing recertification requirements. It is recommended that recertification requirements be established and monitored by the Facilitator’s sponsoring organization and RC Instructors. RC intends to establish recertification requirements in the future. Next Steps (NS) ACP is offered to patients when chronic illness becomes more advanced—when clinical triggers arise, such as complications, frequent hospitalizations/clinical encounters, or a decline in function. For a patient with heart failure, it may be a heart attack, pulmonary complications, or increased symptoms during daily living activities. The RC NS ACP Facilitator Certification course is intended for qualified professionals to learn communication techniques to facilitate an in-depth, disease-specific ACP interview. This stage of ACP is focused on individuals with chronic, progressive illness who are beginning to experience a decline in health and/or complications. They may also need assistance making more specific treatment decisions based on their unique illness and its corresponding trajectory. Certification is only available through contracted implementation of the NS ACP program and not offered as an RC national course. Advanced Steps (AS) ACP is initiated as a component of quality end-of-life care for frail elders and those whose death in the next 12 months would not be unexpected. The AS planning conversation is focused on goals of care to make timely, proactive, and specific end-of-life decisions. Ideally, these decisions are converted into medical orders that can be followed throughout the continuum of care. The Physician Orders for Life-Sustaining Treatment (POLST) program is the nationally recognized model for this stage of planning. The AS ACP Facilitator Certification course is intended for healthcare clinicians (nurses, social workers, chaplains, physicians) and others involved in assisting those with serious illness or frailty in making treatment decisions based on their goals of care. The purpose of this program is to improve the effectiveness of the AS ACP (a POLST Paradigm program) through facilitation skills training. Describe the goals of Advanced Steps ACP, a POLST Paradigm program. Identify communication skills for facilitating Advanced Steps ACP conversations. Identify skills to assist individuals in making informed treatment decisions that include discerning goals for care aligning with specific treatment decisions. Demonstrate beginning competency in facilitating Advanced Steps ACP conversations through role-play activities. Become certified as an Advanced Steps ACP Facilitator through final competency role-play demonstration. Currently, RC has no recertification requirements. It is recommended that recertification requirements be established and monitored by the Facilitator’s sponsoring organization and RC Instructors. RC intends to establish recertification requirements in the future. I had been leading group facilitations and met a woman (“Jane”) who signed up for a follow-up one-on-one facilitation. I encourage individuals to bring their families as they can also hear their adult children’s wishes. Jane brought her husband and two adult sons. When you walked in the room you could immediately feel that three of them didn’t really want to be there. Jane commented, “Everyone is doing this as my Mother’s Day present.” I noticed that one of the two sons (“Joe”) was in a wheelchair and I thought to myself that his situation might make for a richer discussion during the exploration of experiences with illnesses and injuries. However, when asked, no one volunteered any experiences. I really relied on my Facilitator training and called out the elephant in the room. I asked the son, “I see you are in a wheelchair. Were you in an accident?” Everyone was silent. He responded that he had tried to commit suicide. Jane said that they had never talked about it before. I asked them if they were comfortable talking about it now. What an honor and a gift we are giving this family to create a safe environment for conversation. Jane shared how scared she had been and how they wanted to do everything to help Joe. Tears were rolling down Joe’s face to hear his mom talk about how scared she was. Jane’s family came in apprehensive and left grateful. Jane was so thankful for the conversation; she hugged me on her way out and later sent me a thank you note. As a Facilitator, what a gift to be invited into these family’s homes. It is just so amazing. Each conversation is so different and so powerful.